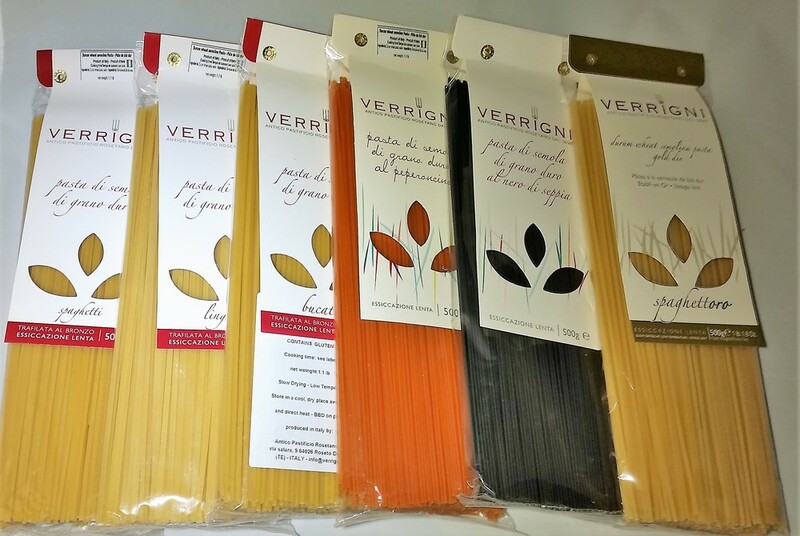 Verrigni pasta is imported from Abruzzo, Italy and is the only gold dyed pasta in the world. Verrigni has its beginning in 1898, when Luigi Verrigni became the supplier for noble families of Rosburgo, the Roseto degli Abruzzi. Today, Gaetano, his great grandson, oversees production with the same level of attention to detail and quality.